Enroll in Winner’s Circle Rewards, our frequent parker program, and earn points while you park. You will earn a point for every day you are parked at PIT Stop Airport Parking. As you accrue points you will be able to redeem them for free services such as parking days and car cleanings. The more you park, the more you earn! 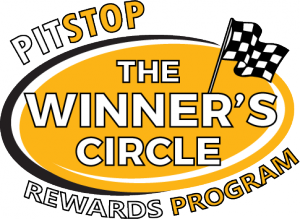 If you are not currently a Winner’s Circle Rewards member, you can register for an account and enter in the required information. For a limited time, enroll in Winner’s Circle Rewards frequent parker program and get a FREE DAY of parking right away!